He's sold more than 53 million albums and singles worldwide, continues to tour the world every year, all while writing, recording and taping for a wide array of projects spanning music, film, television and theater. Please join us as we welcome multiple GRAMMY Award-winning singer, songwriter and social activist, Michael Bolton, to the Clive Davis Theater. Known for his soulful voice and poignant lyrics, his timeless style, charm and good looks have also earned him a spot in several "People Magazine's Sexiest Man" issues, including 2012's "Sexiest Man Alive." He most recently became a viral sensation for featuring in The Lonely Island's hugely popular, Captain Jack Sparrow video that launched on Saturday Night Live and was performed live on the Emmys. The Emmy-nominated video has racked up over 95 million views on YouTube, where it was the 3rd most viewed video of 2011. Bolton credits his fans with being "the best in the world" and loves nothing more than bringing his timeless hits to audiences globally. 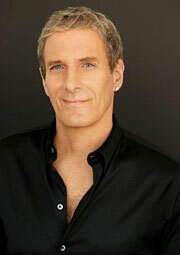 Bolton remains committed to humanitarian causes, especially through the Michael Bolton Charities as well as other social and political organizations. Hosted by GRAMMY Museum Executive Director Bob Santelli, hear Bolton speak about his prolific songwriting career, his new autobiography, The Soul of it All: My Music My Life and his new album Ain't No Mountain High Enough - A Tribute To Hitsville U.S.A., to be released on February 26. After the discussion, Bolton will take audience questions and perform a selection of songs.